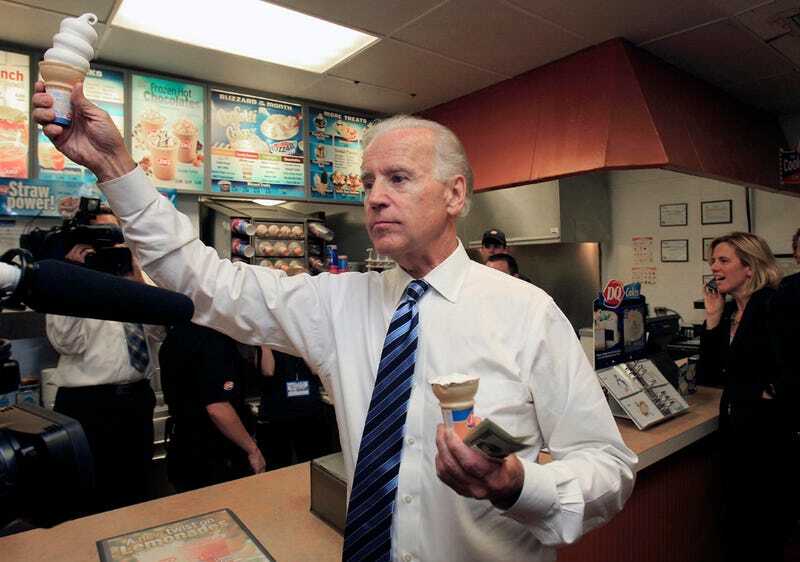 If there's one thing that Joe Biden loves (besides pizza), it's ice cream. 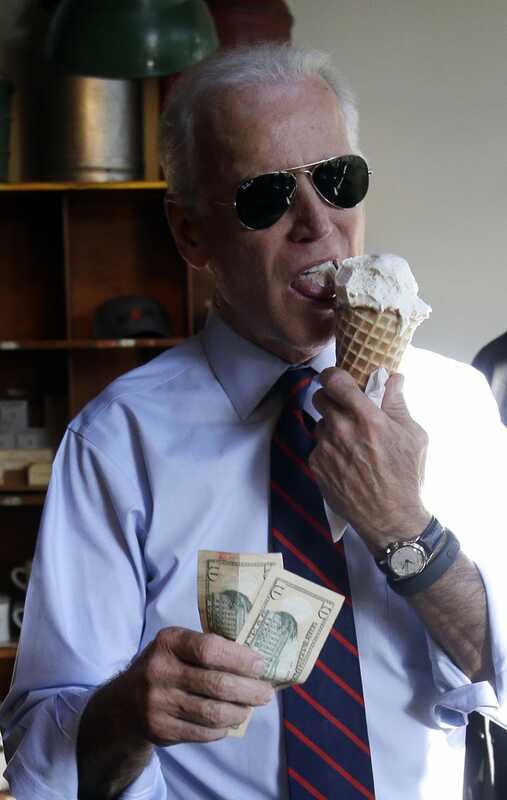 Since campaigning with Barack Obama in 2008, there have been numerous memorable sightings around the country of the Vice President at different ice cream shops, proudly holding up a cone like the Statue of Liberty, or playing it cool while wearing Ray-Ban aviators, cone in one hand and cash in the other. In 2010, the Penny Ice Creamery in Santa Cruz, Calif. created a video reflecting on how their dream of opening an ice cream shop was made a reality due to the Recovery Act. Biden called the shop's owners to thank and congratulate them on their business, making a deal to visit the shop. In a video of the phone call, uploaded by the White House's YouTube account, Biden boldly claims, “I am a genuine lover of ice cream. I don’t drink. I don’t smoke. But I eat a lot of ice cream.” There's even a Tumblr page dedicated to his obsession.